There is something about reaching the 20 week mark in pregnancy that feels exhilarating. Tiring too, but mostly I have this overarching joy surrounding the sweet baby growing inside of me. With 20 weeks brings a noticeable bump and therefore, more “Congratulations!” and less “Are you pregnant?” comments. Even better, I feel daily kicks from this sweet little one and maternity clothes are in full swing throughout my wardrobe. Life is good! My sister is in town visiting from Texas, yes, this sister and she graciously acted as my partner in crime as I posed by an old building near our house :) I just couldn’t wait to try on and style by new pieces from Pink Blush Maternity! 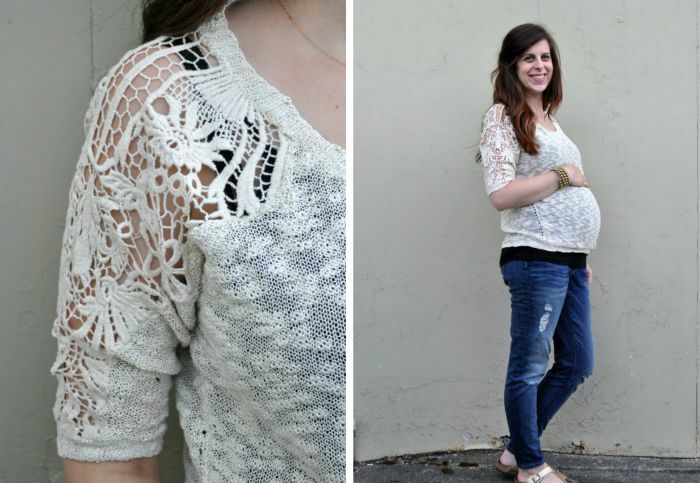 Cream Crochet Sleeve Maternity Sweater /// Lightweight for summer, but cozy for the upcoming fall. I love the detail on the sleeves and totally think this piece will transition beautifully to my postpartum days. 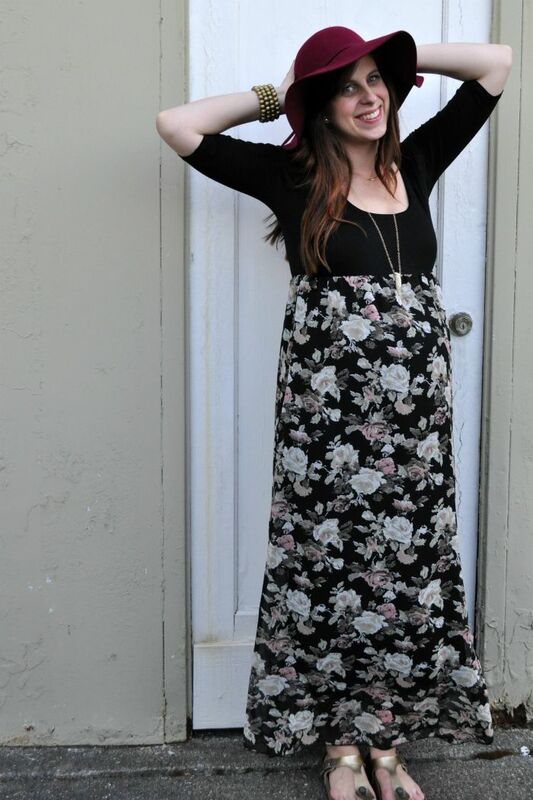 Black Floral Chiffon Bottom Maternity Maxi Dress /// This was love at first sight! Everything about it is so me and pairs perfectly with the style and color tone of my favorite layering pieces and accessories. 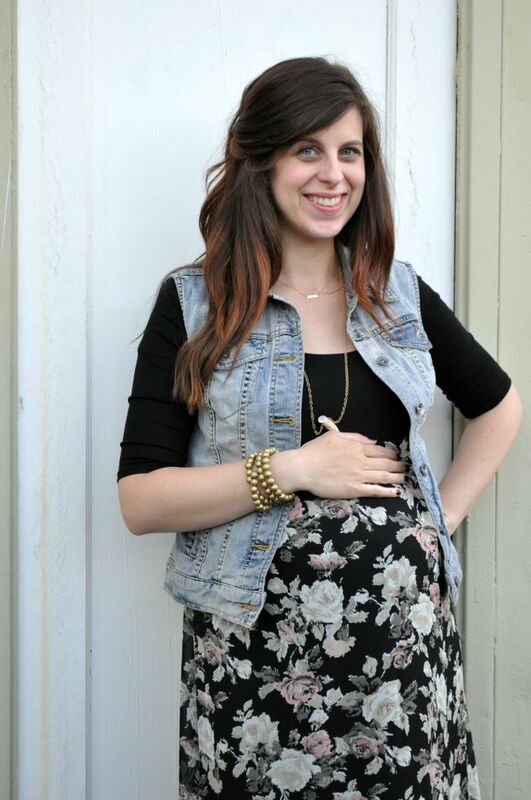 Seriously, this maxi and many of Pink Blush’s maternity dresses are absolute musts for modern pregnant mamas. 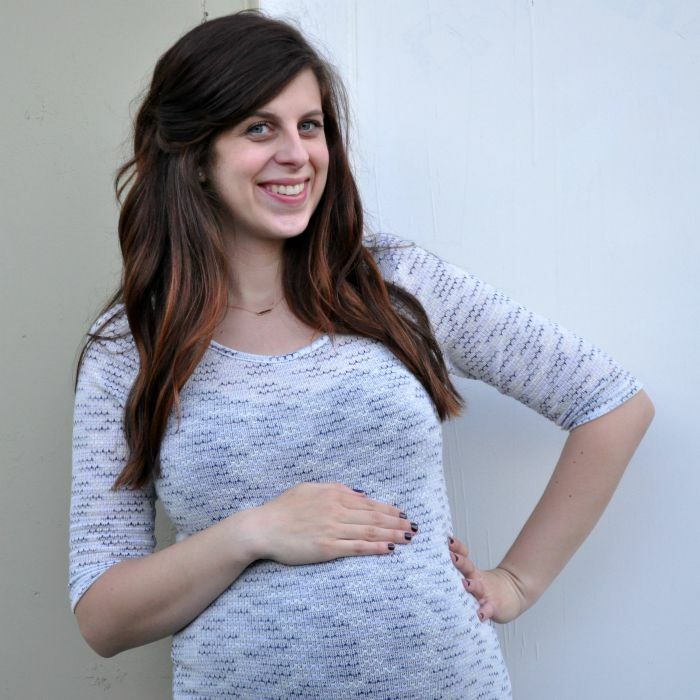 Shades of Blue Knitted 3/4 Sleeve Maternity Top /// I honestly toggled back and forth on this top and am so happy I said, “yes to the dress maternity top”. The cut and length are super flattering and it has been my daily go to when paired with leggings for errands and home days. 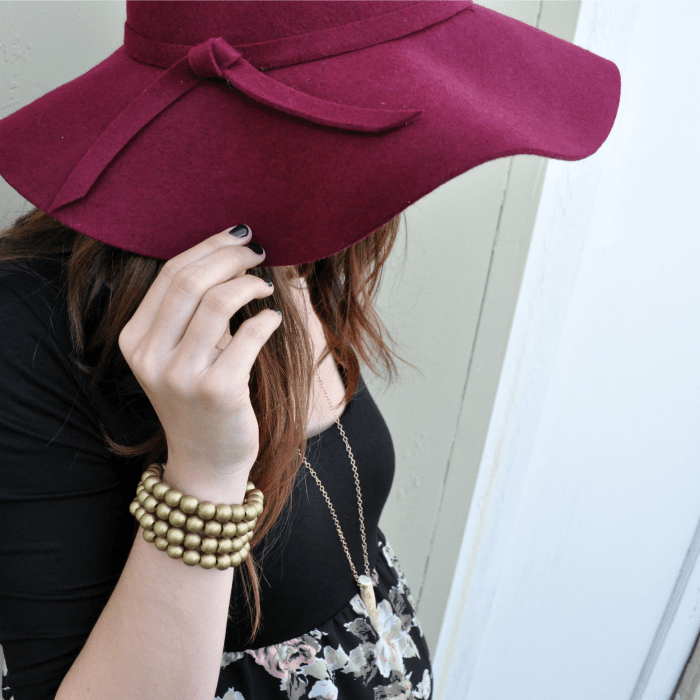 A hearty thank you to Pink Blush Maternity for sending me these fabulous maternity pieces! 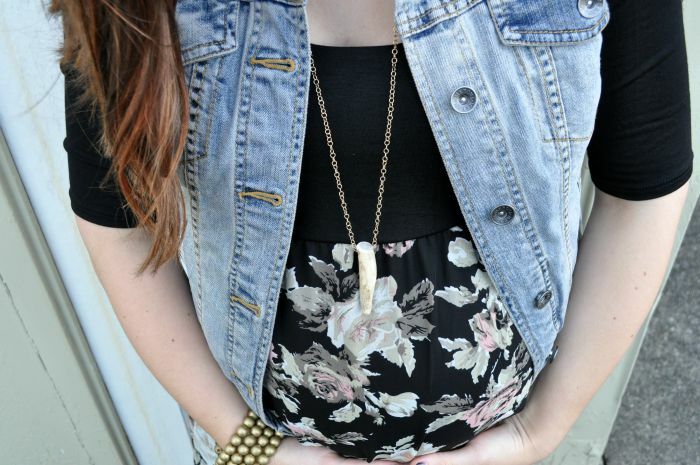 I love them and YOU for making such affordable, fashionable maternity clothes! You look adorable! I love that second dress (which… I’m addicted to florals, so it’s no surprise!). 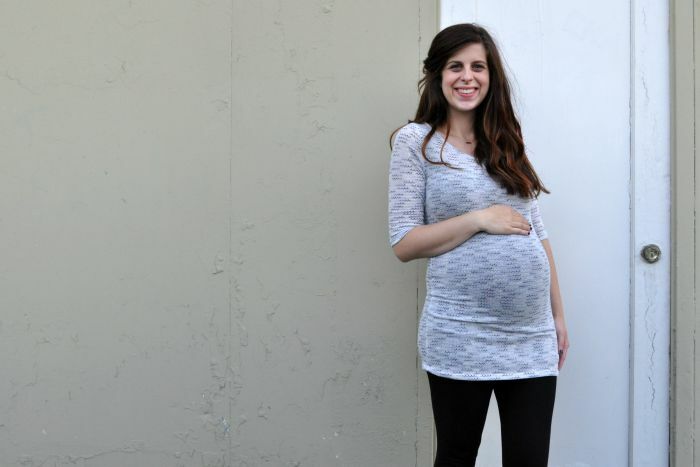 I have a Pink Blush maternity dress and it is seriously the most comfortable thing I own! I like it more for nursing than pregnancy, but seriously. Pink Blush is the best! Thanks so much, Kristina! 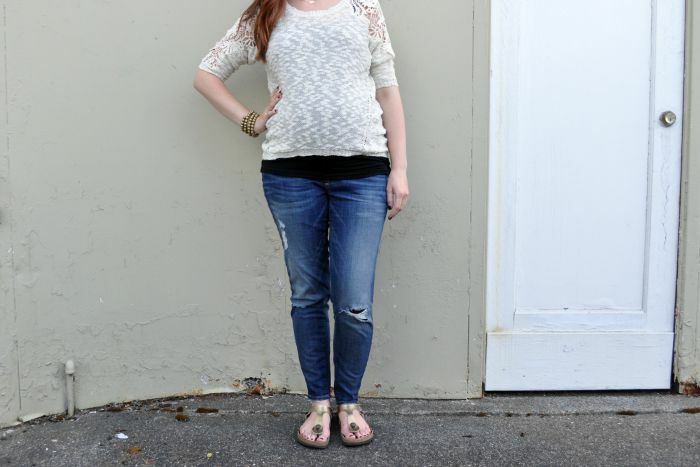 I’ve become a huge fan of Pink Blush – such trendy and perfect pieces for expectant and postpartum mamas :) And thanks for adding me to the WA bloggers! Excited to read more about everyone!